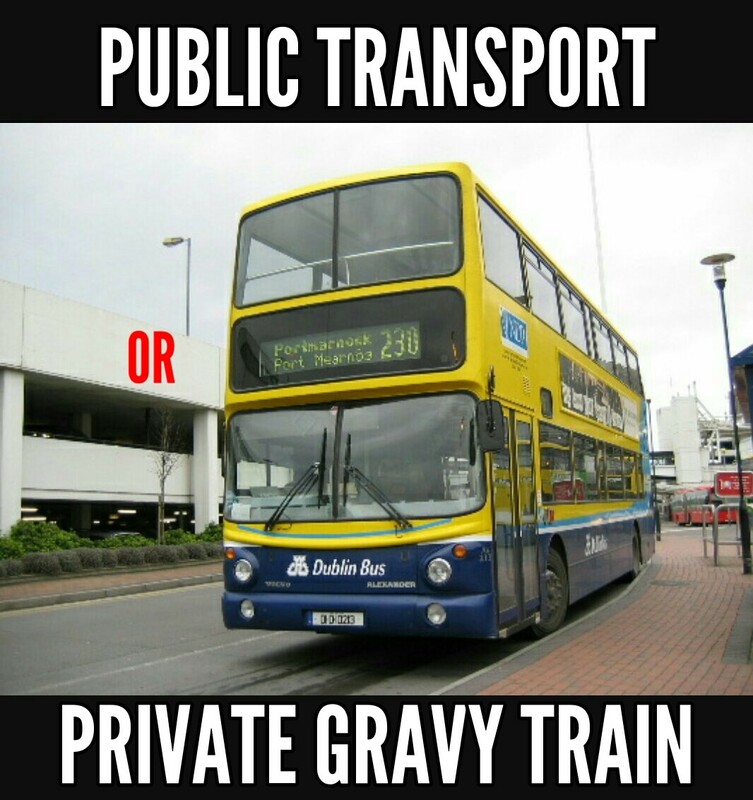 It has been announced that the operation of 10% of Dublin bus routes has been handed over to a private transport company ironically named “Go Ahead” as if to indicate the nod and the wink that usually accompany such deals that our gombeen political class are involved in. This is nothing less than the start of the privatisation of the public transport system. They can parcel it up whatever way they want but it is privatisation. Public ownership and management of our services is about providing them in a decent reliable safe and environmentally friendly way at the same time as providing good well paid jobs for the workers involved. Put another way in the interest of the citizens who use and provide them ie. Society. When operations are privatised the only interest of the operator is maximum profit. With the type of contracts that have been given to “Go Ahead” the options are quite limited namely the pay and conditions of employees and safety standards due to the fact that buses and revenues are kept in state ownership for the moment. This is the method that our political class are using to bring in privatisation by the back door. We will be told what a wonderful job the operator is doing for a fraction of the cost (poverty wages), that competition is good for the consumer and it’s time more franchises were put up for tender since some of the fleet owned by the state is getting old and needs to be renewed why not let the privateers tender for this as well. The propaganda will continue and before we know it the “Go Ahead” will be given for the complete privatisation of the public transport system. Then the real agenda starts unprofitable routes will be stopped, off peak services will be reduced to a trickle, fares will increase, wages slashed, standards will plummet health safety and the environment will be set to a bare minimum as a private monopoly or duopoly takes over and “goes ahead” with their insatiable appetite for ever more profits. This has been seen time and again when public services are handed over to privateers. The role of the trade unions cannot be overlooked as they came to an agreement to allow 10% of the services to go out to tender. This was done as the unions have been caught napping after years of social partnership followed by a decade of austerity which led to the narrative of ‘it’s the best we can do at this time’ being accepted. Some unions have said they will allow this but no more privatisation will be accepted . 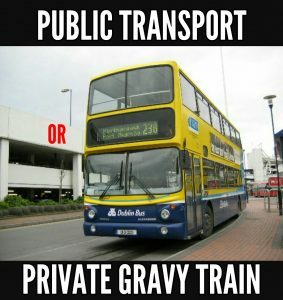 This is encouraging and needs to be built on following the recent victories of workers in Luas, Dublin Bus and Bus Éireann after strike action being taken . This illustrates how important it is for workers to get involved in their trade unions and be willing to go the extra mile to defend their jobs and the rights of society as a whole ultimately the best way of achieving this is to fight to have the anti trade union laws repealed and tip the balance back in favour of workers. 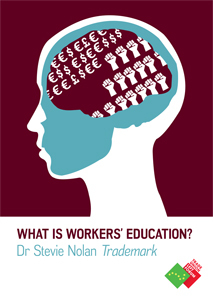 Political understanding and intervention is needed in our union movement by workers and activists themselves.